Bishop Karaya was called to the ministry at the age of 20 when he was appointed as a local church Pastor with the Assemblies of God Church in Kenya. Three years later he attended the East Africa School of Theology where he graduated with a BA in Bible and Theology. While in college he pioneered two churches. He went on to serve as a Senior Pastor, as a presbyter over 9 churches, as an Assistant Bishop and later as Bishop of 166 churches. He served at the East Africa School of Theology as Dean of Students, Lecturer and Business Administrator before moving to the U.S. Bishop Karaya then attended Gordon-Conwell Theological Seminary, graduating with a Master of Divinity in Education. 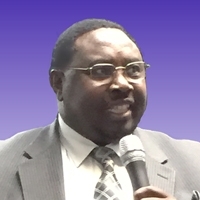 For a period of time Bishop functioned as the president of Kenya Pastor's Fellowship, Inc. in New England. He and his wife Rose became members of CCF in 1999, where he became an elder in 2009.